This post was last modified: 2018-09-23, 21:16 by gwegner. An explorer window will open and show the "Adobe" folder. Find the subfolder "Lightroom" and double click on it, to open it. After launching Lightroom, you should now find the Export presets, Filter presets and the Sync script. Do you have video explanation about this steps,because I dont understand how to change "the subfolder". 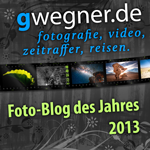 I am going to edit-preferences-show lightroom presets folder-lightroom. But I did not understand how will I chance the subfolder.if you have a video tutorial about this steps it would be great for me. I've updated the description, hope it's clearer now. I'm very sorry but I don't understand very clearly what should I do?? Why have I to close LR ??? 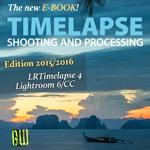 When I want to use pictures ,already imported in LR, to make a time lapse in LRTimelapse, How should I proceed?? Can you show us a few screen capture of Export presets, Filter presets and the Sync script, and where should I find them..
to your 1st question: Don't close Lightroom, close LRTimelapse instead! I'm trying to find the script button or the LRT4 addons to put them manually in LR but unfortunately with no success. I have read all the threads concerning this problem and i still haven't found my way around. Im using LR5.7 on a mac book pro and i installed the latest version of LRT. I tried to put manually the LRT3 addons in the lightroom folder but nothing happend. The LRT3 addons won't wirk with LRT4. I suspect you are saving your LR Addons with the catalog, please change that settings, then install LRT again. no i'm not saving the LR Addons with the catalog. Any other suggestion? 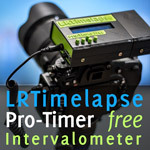 Did you try installing LRTimelapse again?